BiblicalStudies.org.uk: Charles John Ellicott [1819-1905], editor, A New Testament commentary for English Readers various writers, 5 Vols. Charles John Ellicott [1819-1905], editor. 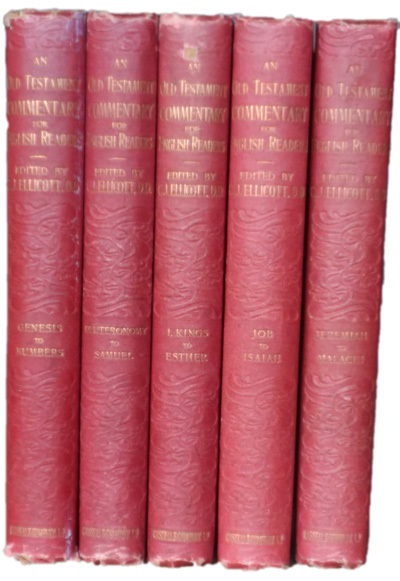 An Old Testament Commentary for English Readers various writers, 5 Vols. London: Cassell, Petter & Galpin, 1882. Hbk. Habakkuk by Arthur Charles Jennings [1847-?